Bekir Pasha had this mosque built to Architect Hafiz Ahmet Effendi. Exact date of its construction is not known. The walls of the mosque are bonded out of bricks and stones whereas the ceiling is wooden with tiles ,covering the roof. Rostrum and minbar of the mosque is made of wood yet the mihrab is stone one that is covered with encaustic tiles. It has got a single minaret with a single balcony bonded out of stones and bricks. 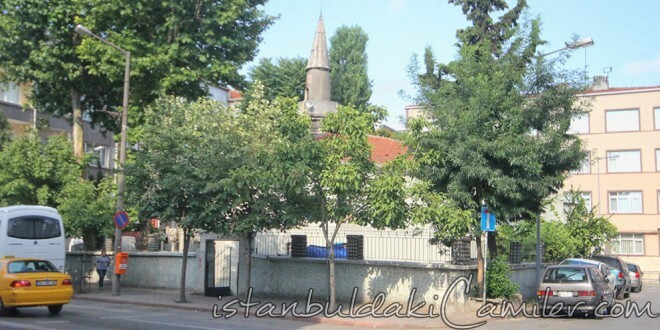 It underwent several repairs between the years 1955-1960 and 1973-1987 Besikcizade Dervish Lodge that belongs to Naksi, Halveti and Sunbuli orders is situated in front of the mosque and Besikcizade Public Fountain adjacent to the dervish lodge. The graves of HH. Sheikh Suleymani-i Nakşibendi and the architect of the mosque Hafiz Effendi are in the nearby graveyard. Yet the grave of Benefactor Bekir Pasha who died in 1615 is in the Cemetery of Yalniz Selvi which is situated in front of Tekkeci Mosque outside Topkapi Walls.